Android Nougat 7.0 ROM for Galaxy Tab 4 8.0 Wifi CM14 (CyanogenMod 14) has now arrived. For latest updates, stay tuned to the Lineage OS device list page. This Nougat 7.0 has come for Galaxy Tab 4 8.0 Wifi via CyanogenMod 14 ROM. Since Google released Android Nougat Source code, we have update many Android NOUGAT AOSP ROMs and we also have a big list of Available CM14/CyanogenMod 14 Nougat 7.0 ROMs. This CM14 for Galaxy Tab 4 8.0 Wifi is brought to you by sub77. 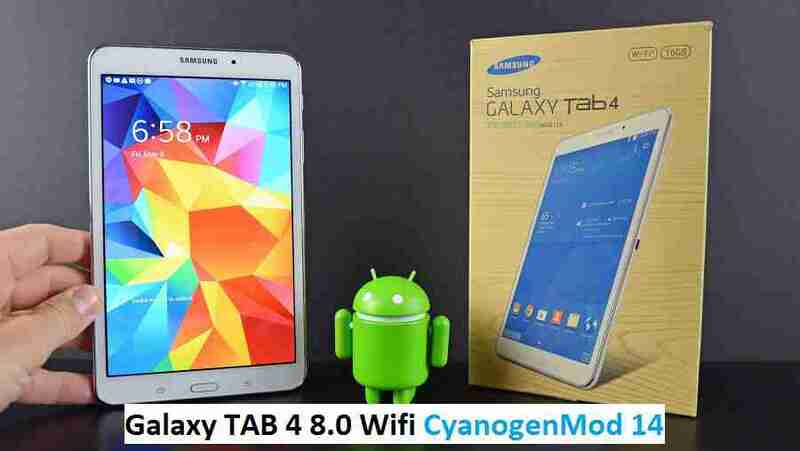 Download and Copy the GApps and Galaxy Tab 4 8.0 Wifi CyanogenMod 14 ROM ZIP to your phone. Reboot and Enjoy the CyanogenMod 14 Nougat ROM on Galaxy Tab 4 8.0 Wifi. Copy the latest Galaxy Tab 4 8.0 Wifi CyanogenMod 14 ROM ZIP file to your phone. Stay tuned or Subscribe to the Galaxy Tab 4 8.0 Wifi forum For other Android Nougat ROMs, CyanogenMod 14 ROMs, other ROMs and all other device specific topics. Can i try this LineageOS rom on my Samsung galaxy tab 4” 8.0 SM-T330NU? Hi, i followed all steps, but in twrp, when i try to intall the zip file, it gives me an error. What is the TWRP version are you using? Can you update the TWRP for your device and give it a try?